Children are captivated by animals, so introducing new concepts to children through animal characters is a wonderful way to engage them in learning that is fun. 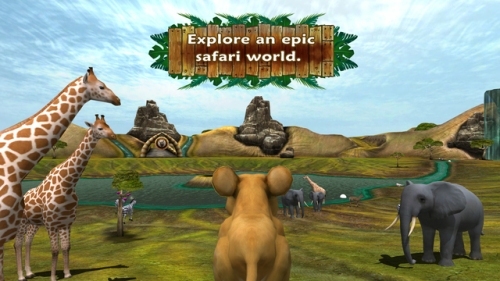 SAFARI TALES is a delightful 3D world in which children can play games, explore a wide variety of places, and discover fascinating animal facts. 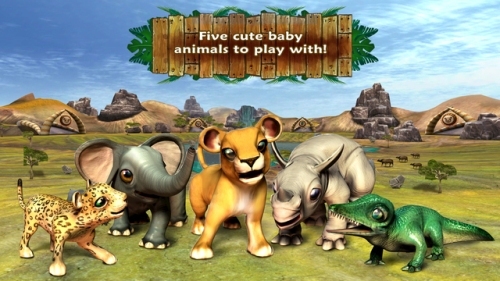 Through age-appropriate quests, designed by award-winning teachers and computer game experts, children can go on an African safari adventure through the eyes of five adorable baby animals. 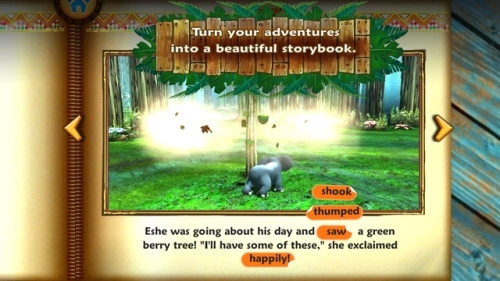 SAFARI TALES offers a wide variety of games to play, and the ability to collect fossils, minerals, and stickers. 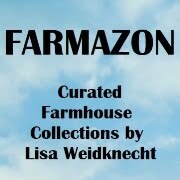 As the child plays, a personalized storybook can be created for the child to read and share with others. A charming meerkat named Darwin is on hand to answer the child's questions, which can be created on word wheels that help the child construct over 1000 questions. Your child will be developing reading skills, vocabulary, and creative thought as they discover this exciting game filled with colorful wildlife. Kids can even learn some Swahili words! Created for children ages 4-10 years, SAFARI TALES aims to engage a child's curiosity, teach through exciting adventures, and encourage exploration through its user-friendly game. 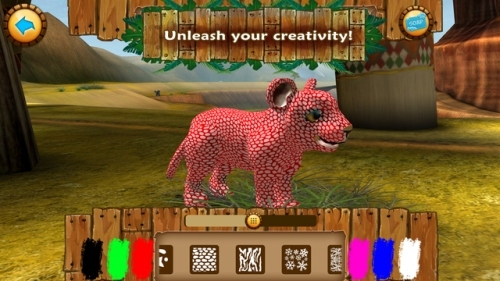 Parents can participate through the SAFARI TALES Parents' Corner, which notifies parents when their child creates new artwork within the game. 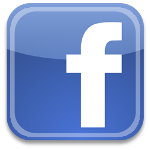 It also allows the parent to set a game length time if desired and to personalize the game with the child's reading age. Children will love snuggling up to parents to share their storybook creations, to read together, and to talk about all the amazing animal facts they've learned as adventurers and storytellers. 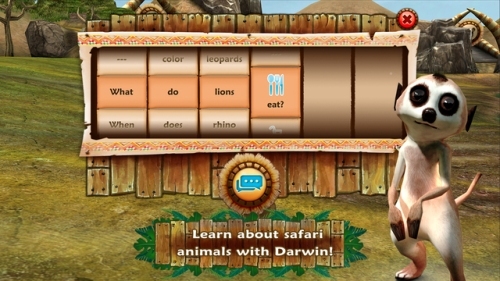 As a long-time early childhood educator, I think SAFARI TALES is a wonderful educational game. Children absorb information much more quickly when they are enjoying learning, and SAFARI TALES has created a fabulous environment that fosters curiosity and creativity. Both parents and teachers will be impressed with this game's ability to teach through play, and children will be entertained for hours. I highly recommend SAFARI TALES!